WWJD stands for “What Would Jesus Do”. 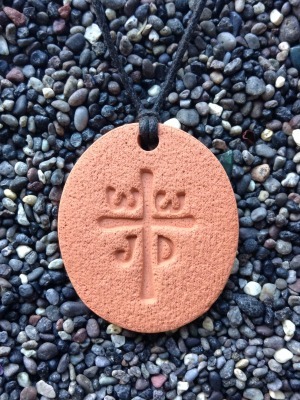 The WWJD Pendant measures 3.25 cm by 3.75 cm (1 ¼ by 1 ½ in). I love the statement of faith designed into this pendant. The design is simple and aesthetically pleasing. It is professionally done and is a design that can be worn every day as a statement of both faith and art.